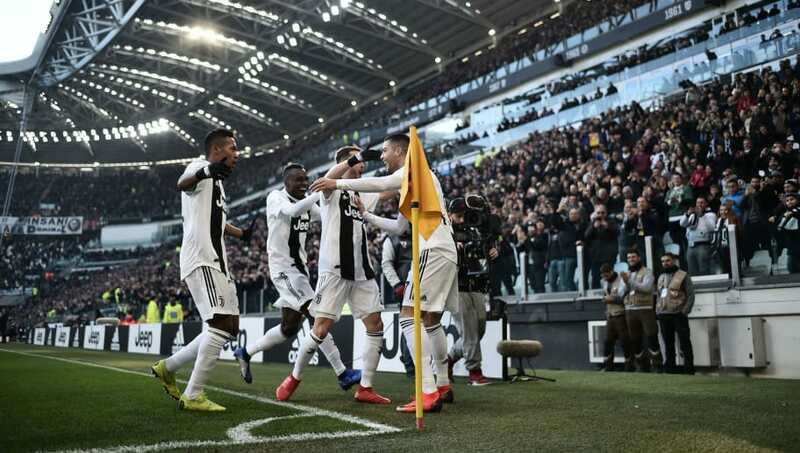 Serie A leaders Juventus travel to the Stadio Renato Dall'Ara to face struggling Bologna in the Coppa Italia Round of 16 on Saturday, hoping to begin their defence of the competition in perfect fashion and progress into the next round. The Bianconeri are unbeaten in their domestic campaign and sit nine points clear at the top of the league. ​​Meanwhile, the Rossoblu, who sit 18th in the league, will be eager to put aside their miserable league form and aim to produce an upset against the competition holders, who are seeking to win the competition for the fifth successive season. ​Juventus will continue to be without duo Juan Cuadrado and Andrea Barzagli due to respective injuries. The Colombian is sidelined with a meniscus injury and veteran defender Barzagli has a thigh problem. However, La Vecchia Signora could see Rodrigo Bentancur return to action. The Uruguay international sat out of Juve's victory against Sampdoria in their previous game due to suspension. João Cancelo may also be involved for the Coppa Italia clash, having participated in training on Tuesday. The Portuguese missed the last five matches due to surgery on his knee, but may return against the Rossoblu. Meanwhile, the home side will be without midfielder Andrea Poli through suspension. The former Milan and Sampdoria man received a one-match ban after he was caught on camera using a blasphemous expression in their fourth round triumph over Crotone. Juventus Szczęsny; De Sciglio, Bonucci, Chiellini, ​Alex Sandro; Bentancur, Pjanić, Matuidi; ​Dybala, Mandžukić, ​Ronaldo. Juventus have won 29 of the 40 previous meetings between the two sides, with two wins for Bologna and nine draws. La Vecchia Signora have won the last five matches against the Rossoblu and are currently on a 14-match unbeaten run. Bologna's last victory came in February 2011, a 2-0 win at the Stadio Olimpico Grande Torino (while Juventus' current stadium was in construction). The last time the two sides met in the Coppa Italia, the Turin outfit came out on top 2-1 in extra-time at the same stage back in December 2011. Juventus are unbeaten in four of their last five matches in all competitions, winning three and drawing one, with their only loss in that period coming against Young Boys in their final Champions League group stage match. The Bianconieri's last four victories have been settled by a one-goal deficit. Bologna are winless in their last five matches, with their last victory in all competitions coming in their 3-0 win against Crotone in the previous round of the Coppa Italia. They have failed to score in three of those five games and have lost their last two consecutive matches, albeit against the likes of sides in the top four. Juventus may rest some of their regular starters for their Supercoppa Italiana clash against ​Milan on Wednesday and will be hoping to put the game to bed as early as possible. That being said, Cristiano Ronaldo is in line to make his Coppa Italia debut and would undoubtedly like to add to his goal tally of 15 goals in all competitions. He has netted four in his last four league matches and will be hoping to open his account in the cup competition. The Rossoblu aren't in great domestic form but can certainly instil some confidence in the new year with an upset against the defending champions. Although La Vecchia Signora have conceded in their last two matches, they won convincingly at home against the Rossoblu last time out and should have enough quality in depth to prevail again. However, Bologna have taken points off Roma, Fiorentina and Milan at the Renato Dall'Ara in Serie A this campaign and could certainly frustrate the holders.